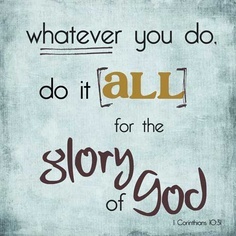 In the list of spiritual gifts in the Bible, the “gift” of decorating is not mentioned. It is, however, a gift the God can use! Decorating is not my gift–I’ll freely admit that. While I appreciate decorations and look in awe at those to whom decorating comes naturally, I could be content with a “bare bones” event or retreat. While there is a value to simplicity, who who am I to prevent those who want to serve the Lord with their decorating talents? Decorations truly can reinforce and enhance your event theme. Use those women who have that gift! Share your vision with them. You may have to pull on the reins a bit, due to budget concerns or time restraints, but if they are willing to work within the parameters you set, let them go for it! God gave them that creativity to use for His glory. I’m excited to announce the addition of new, free downloadable skits to the website! We have added (1) one-act skit, (2) serial skits and (2) skit series. These are some of my new favorites, and there are more to come. Have you considered using skits? Try something new! You can do a skit! Check out other blogs on the topic on our website. “Out with the Old” is a one-act skit about sanctification–putting off the old and putting on the new. Kelly has moved to a new city and a new job. As she unpacks, she realizes that there are things that she needs to get rid of that are no longer of any benefit to her. “Your Day in Court” is skit series of four short skits examining salvation from a legal setting. Who is our righteous Judge? Who is our accuser (the prosecutor)? What are the charges and evidence against us? Do we deserve the death penalty? How did Jesus secure our pardon and grant us freedom? “StormProofers, Unlimited” is a skit series consisting of three short skits. Severe weather is predicted, and heavy damage could result. Stormproofers, Unlimited to the rescue! They have the advice and products to help Kelly to have a godly perspective in the midst of the storm, and to avoid permanent damage from the storm. “The Quest” is a three-act serial skit used at our retreat entitled “Surefooted.” In this skit, three women vie for the title of “Miss Sportz World” by completing a quest. Each woman follows a path set out for her where she will encounter challenges and trials, as well as an enemy. Will they finish strong? Who will win? “Trusting 101” is a four-act serial skit used at our retreat entitled “In All Your Ways.” In this skit, Sybil attends a continuing education class “Trusting 101.” She is presented with three case studies, and as she considers each one, her Mind, her Will, her Emotions and her Spirit all weigh in as she learns about trusting God in all situations. Check out these new skits–I pray you can use them! Sometimes it is just fun and inspiring to read about an event put on by another women’s ministry, and how the theme was carried out. Our most recent event was our annual spring women’s dessert. 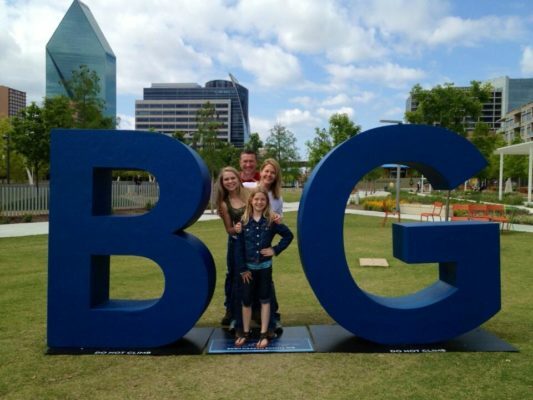 If you google “b g letters of Dallas” you will find images of some large letters “B” and “G” which have sprung up around the Dallas area (BIG “D”) which have become iconic tourist photo opportunities. Here is how we used that idea for our spring women’s dessert. 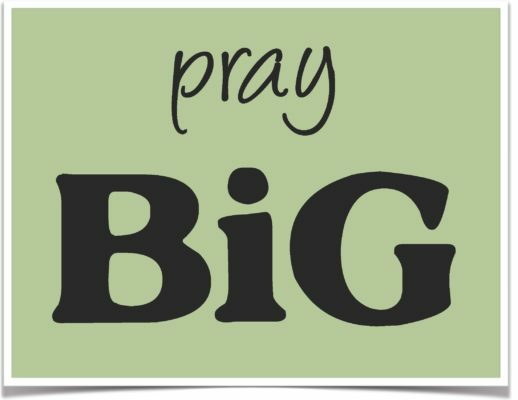 Our theme, “pray BIG” was something God laid on my heart at the beginning of the year. Briefly, the theme was a result of me being convicted by the Lord of praying too small. If we truly believe that God is who He says He is, our prayers should reflect that. 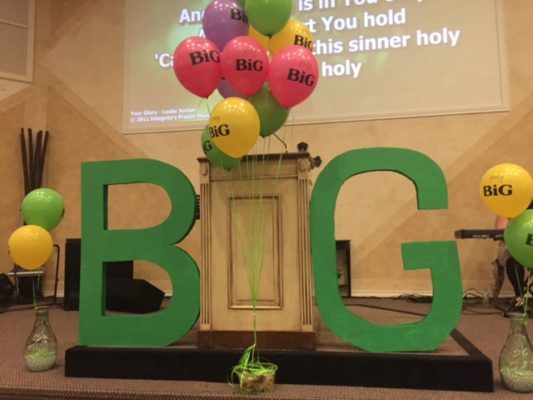 Our decorating crew came up with the idea of using the “b” and “g’ letter to convey the idea of “BIG.” Balloons and napkins were imprinted with the “Pray BIG” theme. The theme was “Pray BIG!” and the theme verse was Matthew 19:26b “With men this is impossible, but with God all things are possible.” Our delicious and easy dessert was Nothing Bundt cakes (see this post for why we like them). We had a guest speaker, and we had a skit “Goldilocks and the Three Prayers” available as a free download on this site. Yes, we’re halfway through January, and I’m just now wishing you a Happy New Year! And I would like to welcome everybody who is new to this women’s ministry website. There is always a flurry of interest at the beginning of the year, reminding me that we are all looking for new ideas and inspiration for the new year. It is going to be a great year We are one year closer to the Lord’s return, and the harvest is great. To kick off the new year, we looked at the word “consider” in the Bible. While there are several Hebrew/Greek words translated “consider,” they all give the idea of looking at something attentively, to ponder or study, to give serious thought with attention to details. What are we to consider? Don’t you think that sums up women’s ministry? We gather together to consider the Lord, to learn who He is, to discover His grace and glory, His character and love. Together we consider the great things He has done, His wonderful works and His faithfulness in the past. As we search His Word, we are to “consider our ways” — to examine our hearts and the path we walk. And finally, we are to consider one another to encourage one another to love and good works. How do I find the skit I need? Ahh! That’s the challenge, isn’t it?! This is part of the reason we started writing our own skits years ago–so that the skit would contribute to the overall theme of the retreat. From that ensued the creation of the Retreat-in-a-Bag website where these resources could be shared. 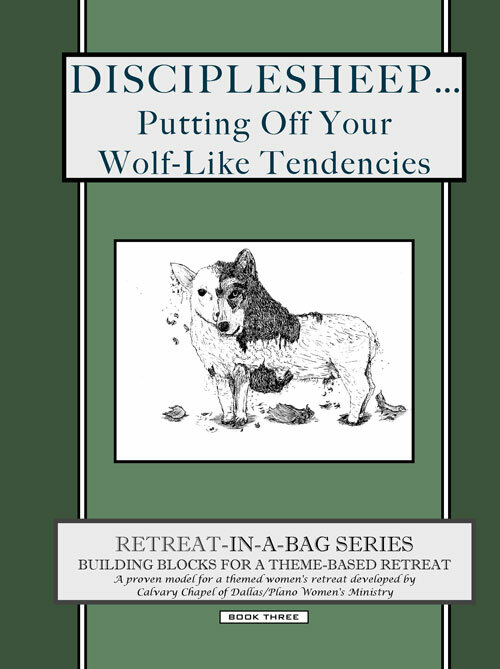 This led to the writing our Retreat-in-a-Bag book series and, subsequently, to the Retreat Guides, all of which give you direction in creating a themed retreat or event with supporting elements centered on the particular themes. But is it truly necessary that you have a skit that follows your retreat theme? No, I don’t think so. What I have observed over the years is that women look forward to a break from intense concentration. A skit can provide a time of entertainment and laughter in the midst of more serious teaching, prayer, etc. Simply put, inserting a skit in your schedule just provides a nice change of pace. I know there are ministries that simply add a frivolous skit for entertainment value. And I can see that would be fun. But…why not have a skit about the importance of a quiet time (a free downloadable one-act skit called “Good Intentions”)? It is meaningful, and applicable, even if it doesn’t specifically relate to your theme. Take a look at some of our free, downloadable one-act skits, or some of the series skits (where each skit stands alone) if you just want to add a fun, yet meaningful, ingredient to your retreat or event schedule.